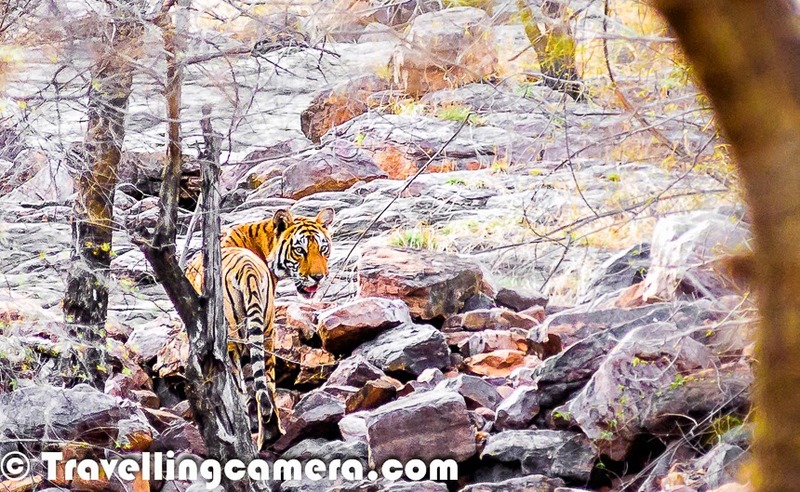 T-16, the tigress mother of Ranthambore, gave birth to three female cubs during the monsoon months of 2006. With time, these little tigresses earned the names T-17, T-18, and T-19, or Satara, Athara, and Unnis. Born to a celebrity mother, the three cubs were under pressure to perform right from their cubhoods. And in spite of constant paparazzi presence, very soon all of them started demonstrating the Dabang traits their mother was famous for. And one cub, T-17, was more adventurous than the other two. Brave and enterprising, this future queen of the jungle started exploring her own territory by the end of 2007, and was completely independent by the summer of 2008, while her sisters were still with their mother. But her curiosity and ambition wasn't satiated yet and she continued exploring and expanding her territory and slowly managed to force her own mother, T-16, out of her territory, after which T-16 retreated to the Lakkarda region. And somewhere down the line, Satara also came to be known as Sundari. Graceful and authoritative, the tigress was never the one to shy from human presence and her casual strolls around the tourist jeeps were often caught on the camera. As a result was one of the most photographed tigers of the reserve. And while she was already getting her share of fame, her sisters were progressing in their own respective lives. Both established their territory, and then Athara was relocated to Sariska. Unnis overtook her territory as well. In the meanwhile, Satara was also collared and was also supposed to be relocated to Sariska, but that never happened and the collar was removed after some time. By this time, Unnis mated with T-28 or Star Male and had her own little family. The star of this port, Satara, however, also mated with several males, but was obviously waiting for the right one to start a family. And she found her soul mate in T-25 or Dollar. In May 2012, Satara became the proud mother of three cubs - two males and one female. Motherhood is perhaps the most challenging time for a tigress. Along with hunting for herself and her cubs, the mother also has to be on guard all the time against threats to her cubs. And threats, there are many. Other male tigers just one of them. The brave tigress fought many battles, but then chose to recede to the peripheries of the jungle for the safety of her cubs. But the destiny of a warrior followed her and she was grievously injured while fighting the Star Male. And in March 2013 when the cubs were just 10 months old, their valiant mother was spotted for the very last time by tourists, after which she vanished, and in spite of exhaustive search operations launched by the forest authorities, hasn't been found yet. There are several speculations regarding her fate, but Ranthambore National Park website still stays hopeful.